inspired by plants, oceans and John Wyndham’s book The Day of the Triffids. McDonald’s artwork sits at the junction of sculpture, consumer culture and environmental concern, utilising multiples of individual recycled materials to create new forms and perhaps reshape our thinking about plastic and its effect on our environment. A travelling exhibition organised by Umbrella Studio contemporary arts, toured by Museums & Galleries Queensland. This project has been assisted by the Australian Government’s Visions of Australia program; and supported by the Visual Arts and Craft Strategy, an initiative of the Australian, state and territory governments. 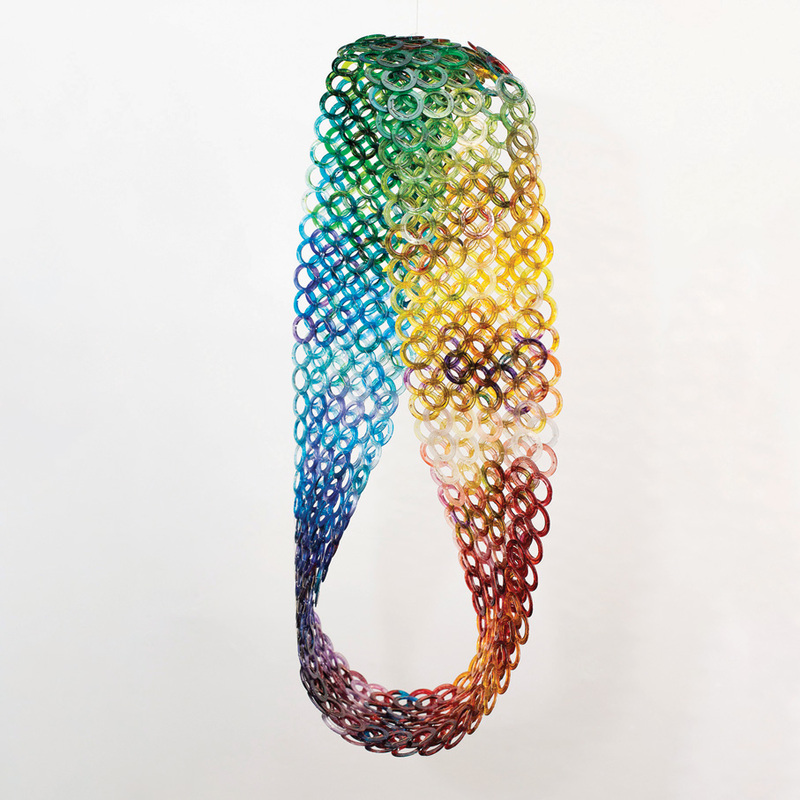 Image: Alison McDonald, R.R.R 2012–2015, individually hand cut and coloured recycled PET plastic rings. Courtesy of the artist. 12 Photography by Aaron Ashley.